Continuous Delivery (CD) is an approach in an agile development cycle where software applications undergo changes and upgrades on a continuous basis and released to production several times in a day. It aims at reducing the risks of making bigger changes in the software at a time, allowing software to adapt in line with customer or user’s feedback at an incremental pace. Continuous Delivery approach work in tandem with Continuous Integration (CI) in which developers continuously make changes to the software and integrate its code into a shared repository frequently during the day for further testing and verification of software performance. Many times it is difficult to get the desired quality output even after following the sound testing process. This is due to lack of resources and efficiency to manage the continuous integrations of code from the development environment to testing environment and cope up with the deployment cycles, which further delays the overall project deadlines. So how to ensure continuous deliveries of quality apps in agile cycles? To confirm continuous releases, it is important to test the software continuously. Moreover, many times the problem lies in the requirements itself, in which case the entire effort and time spent in the development become redundant. Hence, it is important to begin testing early, right from the requirement phase throughout the development cycle rather than performing it just before release. The mantra ‘Test Early and Test Often’ thus can help pinpoint errors early and fix them, helping you stick to continuous delivery commitments. Test automation eliminates the manual efforts, accelerating the entire process of testing. Further, it also helps identify defects early, allowing you to fix them in parallel to the development cycle. There are several test automation tools which come integrated with continuous integration tools to fetch the code automatically and accomplish the testing process, freeing up resources to focus on quality deliverables. Thus, test automation really pays off during continuous tight deadlines. 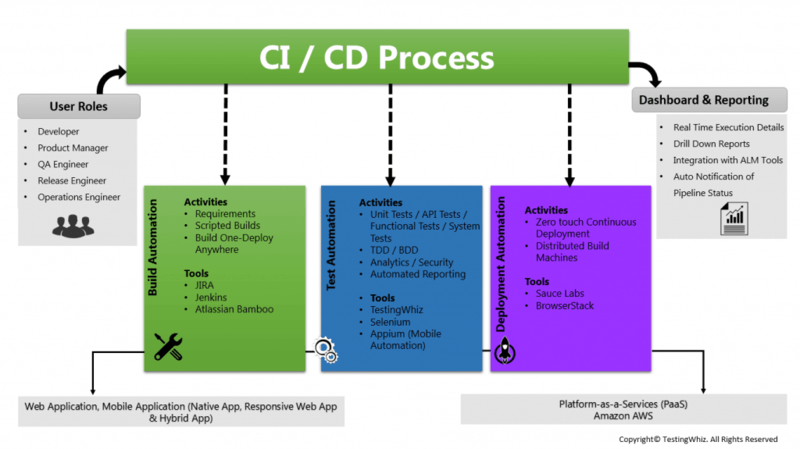 Continuous integration tools like Jenkins, Bamboo, etc. work automatically to compile and fetch the newly-developed code and integrate it into the testing environment. These tools listen to the server and kick-off the integration automatically as and when new code is available. Further, they automate the task of assigning builds, monitoring of repository and reporting the teams about the build failures, execution duration, defects found, etc. reducing the overall time exponentially. This helps meet the continuous delivery deadlines. To deliver apps rapidly, frequently and continuously, it is advisable to embrace DevOps principle that emphasizes on communication and collaboration between developers and testers during the continuous integration and continuous delivery process. DevOps approach can help gain more understanding and transparency over each other’s task and remove backlog or duplication in the deployment cycle speeding up the deliveries of quality apps. One way to achieve this is by making pairs of developers and testers. Every developer and tester should be aware of the requirements and should avoid the unnecessary artifacts which hamper the development and testing process. This can be done by adopting lean testing approach which eliminates the unwanted and excessive requirements. When adopted from the start of the project, lean testing can help identify the redundant or excessive requirements which save a lot of time of testers and developers enabling them to be productive and efficient in respective areas. Continuous integration and continuous delivery are essential ingredients of agile methodology. The above 5 tips apparently contribute to delivering quality apps continuously in the agile cycles. However, before following these tips, you should plan incremental changes to the software in a way which are achievable and releasable within pre-defined deadline. Also, do not forget to keep customer’s feedback in mind even while making a slight change to the software. 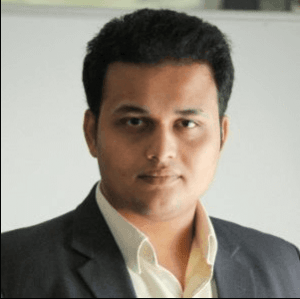 An industry expert for advising clients on test automation tools, best practices, as well as consulting them on testing strategies. 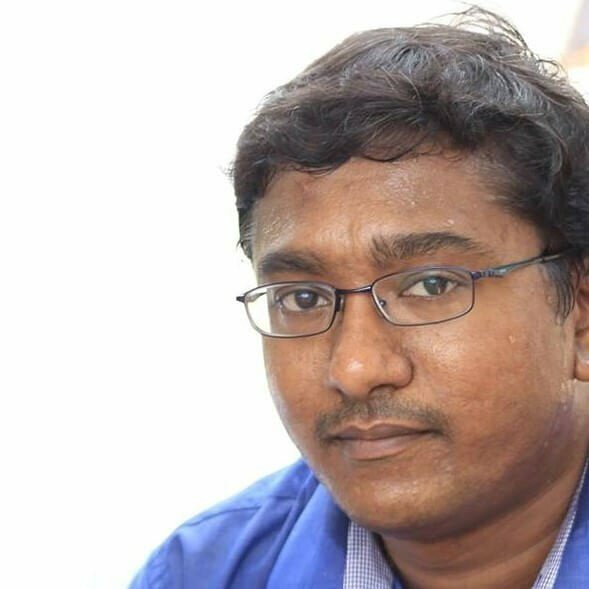 With his industry experience, he has been involved into working closely with large QA teams on Process Automation, Test Management and Software Testing. Thanks NaveenKumar ! For sharing this interesting info. like the way how you have explained all that. Agile testing is always important and beneficial so as to maintain the performance standards of a software in an professionally efficient way. BTW the choice of words is amazing and it helps me to understand things in effective way.